It was a case of Groundhog Day for Wales on Saturday as they lost a tenth consecutive game against Australia, so where did it go wrong? When the Millennium Stadium next undergoes a refit, I am going to place a bid for the big screen/ digital clock, take it home on a flat-bed lorry and smash it to little pieces with a lump hammer. I have spent countless minutes urging its cruel numbers to tick past 80 with Wales leading against the Wallabies. 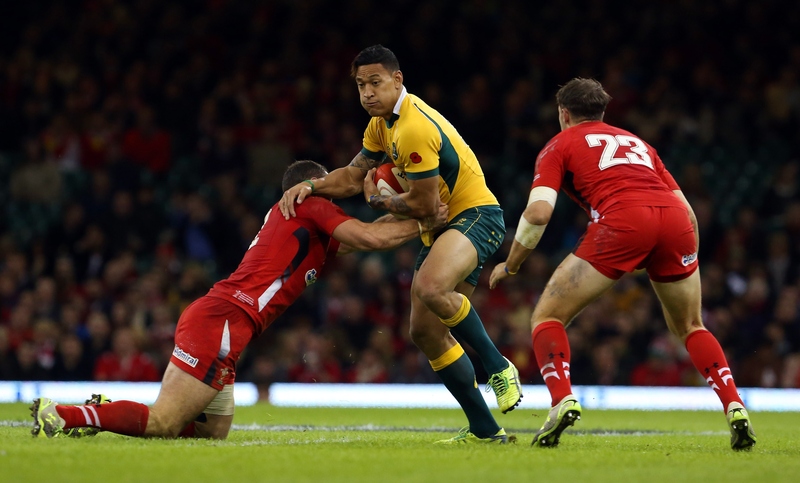 It happened again on Saturday where Wales racked up another agonisingly narrow defeat to the Australians by 28-33. It was a tremendously entertaining game and one in which Wales, barring two missed tackles and a risky miss-pass, played well. Wales’ key performance numbers were strong. Wales had near parity of possession and territory and didn’t lose a single scrum or lineout. In fact, the lineout functioned as well as it has done under Gatland’s reign with Richard Hibbard and Sam Warburton regularly producing clean ball from the tail – the Welsh backrow actually took more lineout ball than the locks. The increasingly impressive Samson Lee caused the Wallaby frontrow serious problems in the second half and helped force a penalty try in the 64th minute. There were also some very reassuring individual performances. Jamie Roberts, Richard Hibbard and Sam Warburton were all equally as effective with and without the ball – particularly Roberts who dominated the 12 channel with his trademark upper body wrap tackles and short, aggressive carries. Warren Gatland stated prior to the game that he’s looking for performances, not necessarily results, in the build up to the Rugby World Cup – if he genuinely means that then he will be pleased with Saturday’s showing. Overall Wales’ defence was good, as it always is. Dan Lydiate, Sam Warburton, Taulupe Falatau, Jamie Roberts and Richard Hibbard executed as fine a defensive display as you’ll witness. Roberts in particular was impeccable, he made 17 tackles and hermetically sealed the 12 channel – so much so that Christian Leali’ifano, the Wallaby 12, didn’t make one clean break. Wales had an overall completion of 91%, just shy of Shaun Edwards’ favoured ratio of 92%, however the tackles that were missed had a devastating impact on the game. 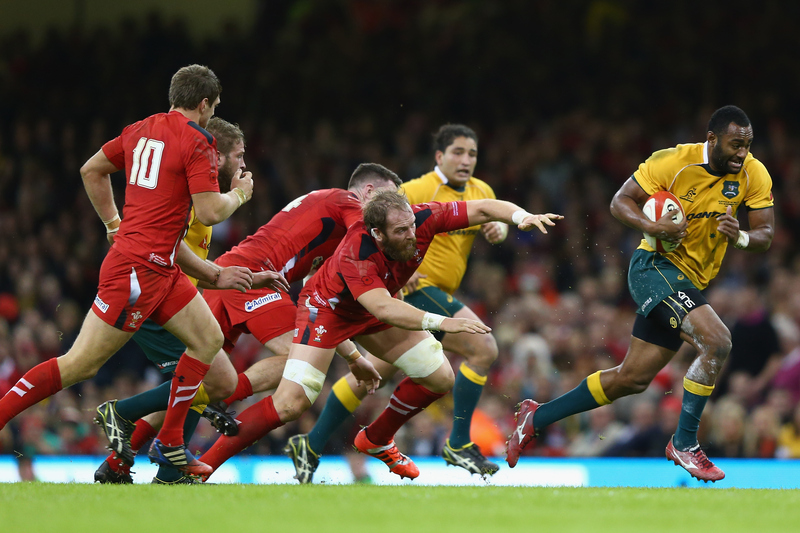 Two of the Wallabies’ tries came directly from missed hits. On the first occasion Michael Hooper bounced Dan Biggar and on the second both Alun-Wyn Jones and Alex Cuthbert opted to target the upper body in a double tackle and bounced each other. The location of the missed tackles was crucial as both occurred in the final third of the field where there is little room for a ‘sweeper’ to fix the problem. Whilst the Welsh coaching staff will be reasonably happy with the overall defensive performance – those two incidents will be on a loop in the video room on Monday. Many have criticized Warren Gatland for his rigidity in selection and style of play, however Saturday showed that he isn’t scared to deviate from ‘Gatland ball’ and adopt a game plan that is more akin to the style of play that we have witnessed from the All Blacks and the Wallabies over the past 12 months. Whilst the foundations of the Welsh game remain the same, with heavy ball carriers dominating the first three phases, Gatland has clearly instructed players to look to offload the ball and not wrap it in two arms and set up a ruck. This was particularly evident from Alun-Wyn Jones’ performance who completed three offloads and regularly looked to free his arms in the tackle – a carrying style favoured by players like Kieran Read and Brodie Retallick. But perhaps the starkest strategic change was the shunning of kickable penalties in favour of five metre lineouts. Whether or not you agree with this tactic it is widely exploited in Super Rugby and has been a key feature of the Wallabies this season. Wales may have lost the game, but another ten months of refining an offload game will give them a far greater chance of competing during the Rugby World Cup. Finally, one of the finest sporting stadiums in the world has a pitch to match. 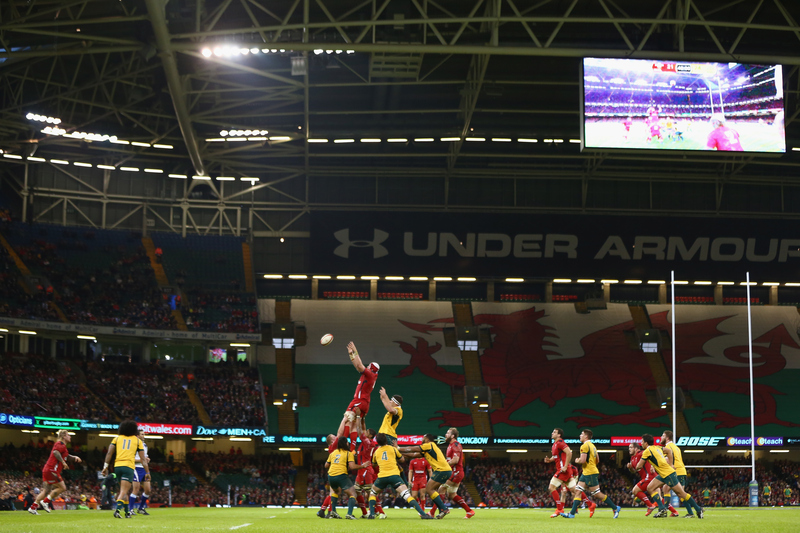 The Wales v Australia game was the first match to be played on the Millennium Stadium’s new Desso Grassmaster and it had a hugely positive impact on the game. There were no goalkicker’s losing their footing like new-born gazelles and after 60 minutes the pitch was still solid enough to hold a lengthy series of reset scrums in the same area of the field – after 60 minutes the old surface offered the same underfoot stability as a two week old chocolate brownie. At a cost of £3.1million, and at a time where money is in short supply in Welsh rugby, a new surface may seem frivolous – but if it continues to play as it did on Saturday it will be worth every penny. Just 55,004 supporters turned up on Saturday. It is a concern. Struggling to fill the Millennium Stadium for Fiji is one thing, having thousands of spare tickets to face one of the ‘big three’ is quite another. There are many reasons for the shortfall in numbers. Match day tickets are expensive and many Welsh supporters have just cleaned out their bank accounts paying for Rugby World Cup tickets. Apathy towards rugby in Wales is high, particularly after a politically fraught 12 months and this has obviously had an impact on sales. However a consistent run of losses against Australia is also a factor. Supporters simply won’t pay good money when, rightly or wrongly, they already know the result in their head. It’s like going to the cinema twice a year, for the past five years, to see the same film – which made you cry each time you saw it. I think on this occasion many people gave the cinema a miss and watched it on DVD at home.